Myanmar history mentions that the country fell under enslavement due to lack of capability to establish a modern Tatmadaw. The Tatmadaw joined hands with the people in fifi ghting against colonialist fascists for regaining independence of the nation. The history evidently mentions Myanmar women shouldered duties of fighting and independence struggles similar to that of men. Moreover, female military service units were formed in the period of safeguarding the independence and restoring peace and stability of the State and they participated in respective sectors with brilliant efforts. 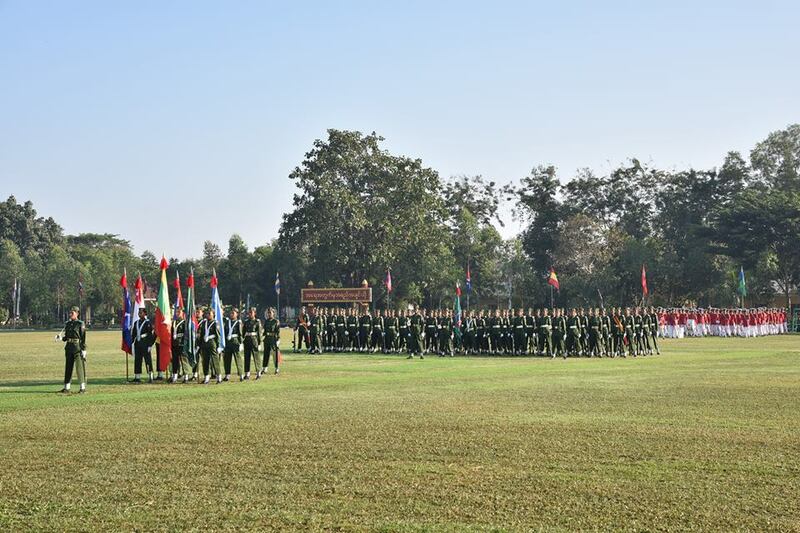 Hence, capabilities of Myanmar women and female service personnel with patriotic spirit have been distinctly put on record in the Myanmar history and the Tatmadaw history, said Commander-in-Chief of Defence Services Senior General Maha Thray Sithu Min Aung Hlaing at his speech delivered at the passing out parade of No 4 Intake of Graduate Female Cadets of Defence Services (Army) Officers Training School (Hmawby) in Yangon this morning. 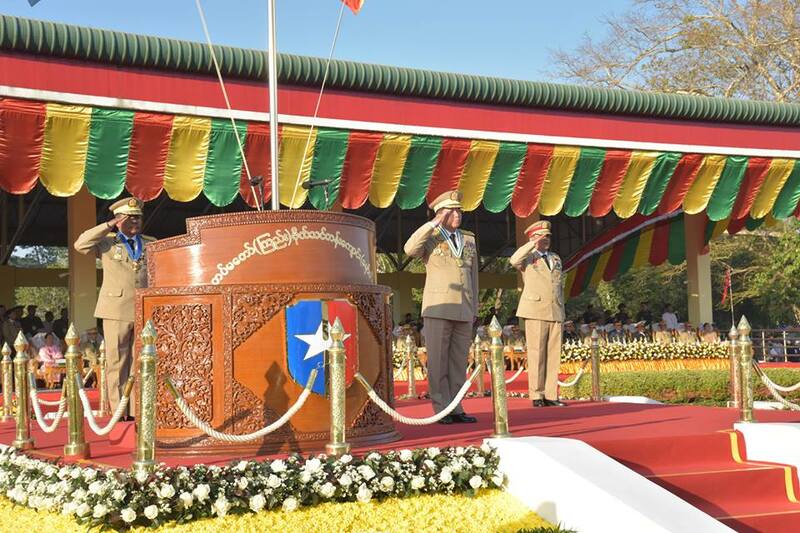 Also present at the ceremony were Daw Kyu Kyu Hla, wife of the Commander-in-Chief of Defence Services, Union Minister for Home Affairs Lt-Gen Thiri Pyanchi Kyaw Swe and wife, Union Minister for Defence Lt-Gen Zeya Kyawhtin Sein Winand wife, Commander-in-Chief (Navy) Admiral Zeya Kyawhtin Tin Aung San and wife, Commander-in-Chief (Air) General Zeya Kyawhtin Khin Aung Myint and wife, senior military offi cers from the Offi ce of the Commander-in-Chief (Army), the commandant of Defence Services (Army) Officers Training School (Hmawby), senior military officers from Yangon Station, guests, parents and relatives of graduate female cadets. After taking the salute of the cadet company, the Senior General inspected it. Then, the cadet company saluted the Senior General in slow march-past and quick march-past. 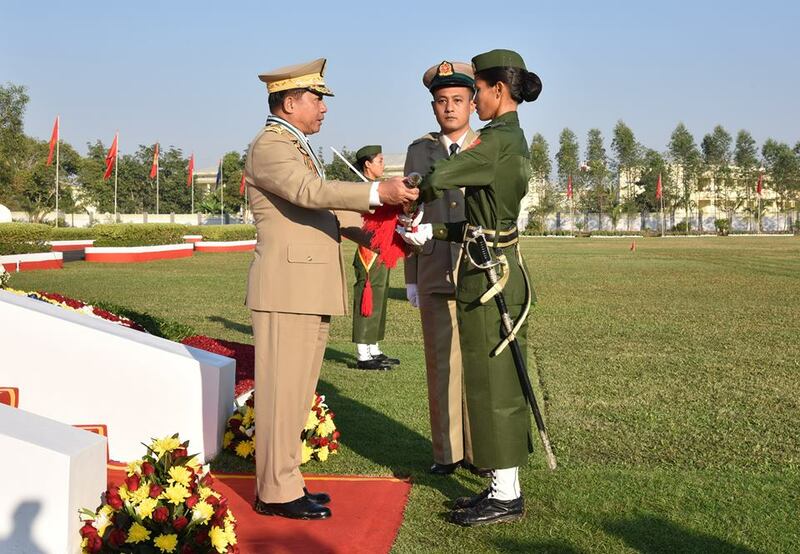 Next, the Senior General presented the best cadet award to Cadet No 20 Cadet Khin La Pyae. 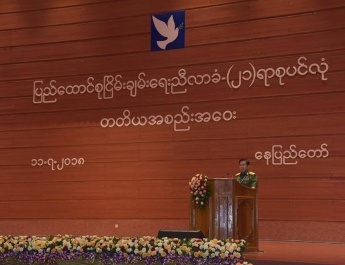 In his speech, the Senior General said: As women make up of over 51 percent of the total population, it is necessary to effectively use the strength of women folk in nation building tasks and national defence power. 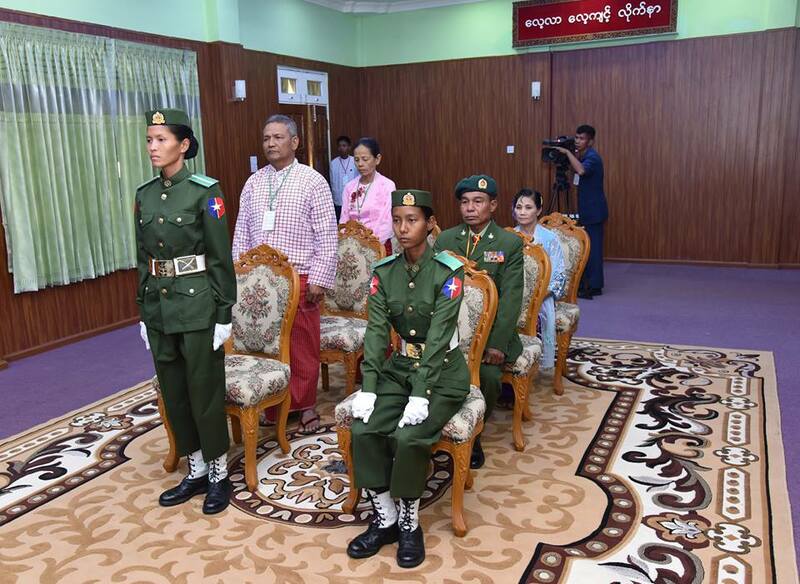 Therefore, the Tatmadaw is turning out servicewomen by continuously conducting courses for graduate female cadets of OTS, nursing and paramedical science and computer diplomas for sergeants/clerks to enable the women folk to participate in national defence duties, promote women role and enable women to join the Tatmadaw. Courses for graduate female cadets are being conducted with the aim of turning out women military offifi cers so that they can take part in State defence duties. Graduate women officers who have completed those courses are shouldering their duties in respective arm troops including departments and offices of the Tatmadaw (Army, Navy and Air). Some of the women offi cers from the OTS (Hmawby)have also completed special operation task force (women) courses while some female offi cers from the Tatmadaw (Air) have been in service as cadet pilots. For graduate female officers, they are required to conscientiously shoulder the duties they are assigned based on the subjects taught by the school and practical training. Since new warfare and weapons are developed every day, the quality of training must be improved to meet international standards. Tatmadawmen must train themselves to be excellent at using military equipment and tactics as well as building up physical fitness to be able to fight the enemy on battleground. In building a strong army, it is important to adequately train each soldier to gain military skills necessary to perform his relevant duties, as well as training in units so as to foster teamwork. The training of Tatmadaw focuses on three areas individual training, team training, and joint training in order to become a highly competent army capable of fifi ghting modern warfare. In so doing, Tatmadawmen have to act in accordance with the basic training principles that focus on fi tness, competency and bravery. Tatmadaw was established to prevent internal and external dangers and to be able to fight conventional warfare. Tatmadaw whose main duty is to safeguard the country has to fifi ght those who threaten the State sovereignty and those who incite internal armed conflfl icts. Tatmadaw is focusing its efforts on enhancing its combat power and combat capability. Tatmadaw must have defence capability to protect the country, and for this to happen, Tatmadawmen must be fit and well-trained so that the military capability of each individual soldier will improve. Only when individuals have capability, will the troops have competency. In building the ‘strength’ of Tatmadaw, there must be unity among all troops, and actions must be taken with farsightedness to improve the capability of troops. Tatmadaw has three main tasks: State defence, training and serving public interests. In any political system, the main responsibility of Tatmadaw is to safeguard the country and perform the duties assigned by State. Defence is not only about fi ghting, but also about protecting the lives and property of people, serving the interests of people, and protecting the livelihoods and national identity of people. To perform those duties, Tatmadawmen must build a capable and reliable army for the country and the people. Discipline and obedience are the key attributes in building up the capability of troops. Capability here means three types of capability, namely military capability, persuasive capability, and administrative capability. It is especially important that Tatmadawmen have strong military capability, which is their professional duty. 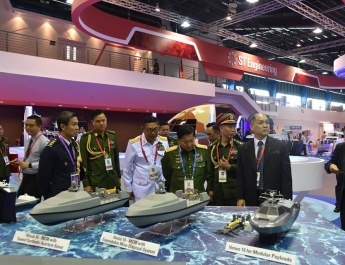 To sharpen the military capability of Tatmadaw, fi rstly, individuals must have high capability, secondly, military weapons must be effective and thirdly, soldiers must be well-trained. And it is also important to use right tactics in right place. Alongside with individual capability, there must also be high capability in working as troops and battalions. In addition, Tatmadawmen must be imbued with persuasive capability in order to build strong unity among the organization they are responsible for, and with the people as well. Tatmadawmen have to focus on rallying support inside and outside the cantonment in order to implement people’s militia strategy under the leadership of Tatmadaw in State defence. Tatmadawmen can win the trust of people by properly protecting the people, serving their interests and taking part in social-economic development of people, he said. All need to sharpen their administrative skills in order to systematically manage and supervise orders, duties and directives from the senior offifi cials in accord with the staff duty. Performing the general staff, adjutant and quartermaster correctly will make the administrative system better. 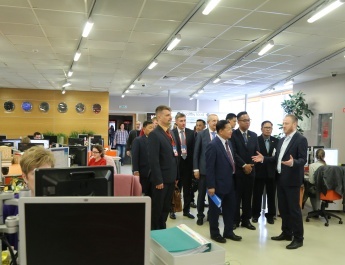 To promote three capacities military capacity, organizing capacity and administrative capacity, all Tatmadawmen need to carry out works in accord with four military building tasks training, administration, welfare system and morale. 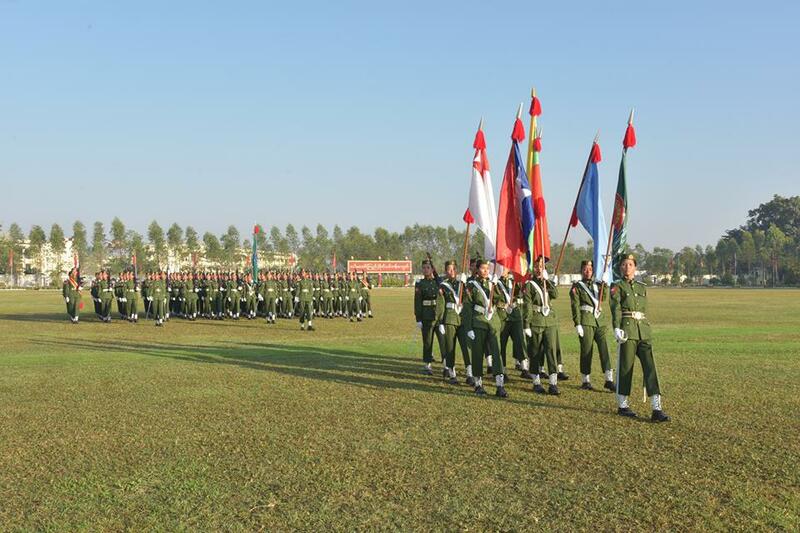 The Tatmadaw equipped with obedience and compactness is formed with a pivot of military code of conducts. Thanks to spirits, discipline and obedience, the Tatmadaw can perform the country’s defence duties steadfastly. There are two kinds of discipline dos and don’ts. All servicemen need to follow these disciplines with knowledge. The Tatmadawmen are to follow procedures, rules and laws exactly as well as to abide by laws and rules set by the State. In addition, the Tatmadawmen are to follow internationally-accepted military laws and rules of engagement. The Tatmadaw men themselves have to avoid committing crimes. Senior offifi cers have to take action against juniors who commit crimes in accord with military and civilian laws. So, they have to perform duties in accord with laws, orders, directives, regulations and methods. All cadets who are going to perform their duties as junior leaders, have already learned leadership concepts and ways. In performing duties on the practical ground, all cadets must be equipped with leadership skills. Leadership is an art which can perform duties assigned by the country or the seniors successfully together with juniors. That is to say, leadership is a qualifi cation that can generate an energy through the systematic collection of human spirits and capacity. For development of leadership skills, all graduate cadets need to make all-out efforts in accord with 16 leadership characteristics laid down by the Tatmadaw. A true leader himself can set a good example to his juniors and try to win love and respect of his juniors and get recognitions of the people. The basic facts about military leadership is to abide by existing laws, orders and directives exactly, to be loyal to heads and have comradeship attitude towards juniors. Graduate cadets should not bear in mind that they themselves become qualified leaders automatically after the assignment of duties. Graduate cadets need to continue doing further studies while performing their duties to become a qualififi ed leader. The development of a country relies on political, security and economic stability. 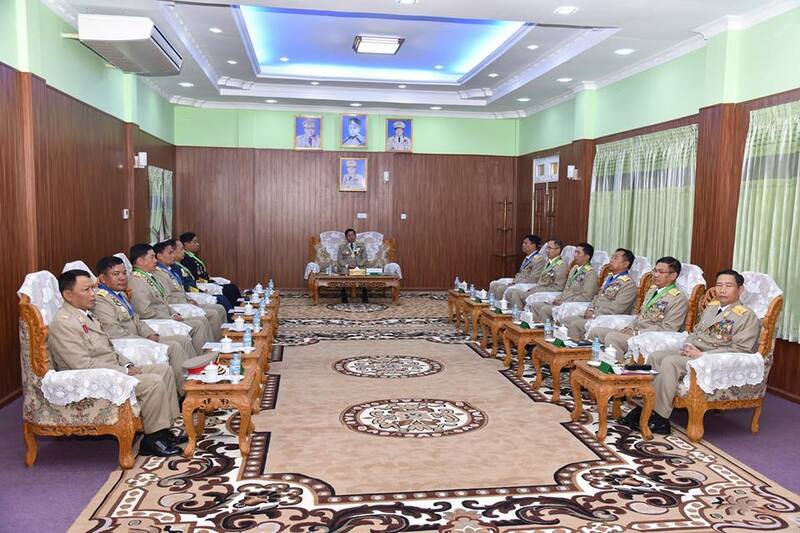 The Tatmadaw cooperates in efforts to solve problems politically in order to end internal conflfl icts and reach eternal peace in accord with the law. The Tatmadaw is working on peace-making processes, based on the Nationwide Ceasefifi re Agreement-NCA. All need to solve problems based on a sense of peaceful mind if they need to continue marching on the current democratic path which is the essence of democracy and reach genuine peace. According to the NCA, there will be many ways and opportunities to discuss national races affairs politically. 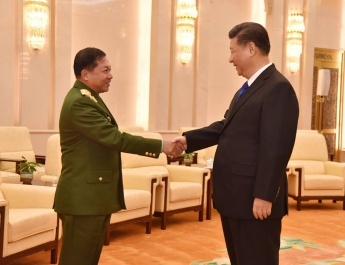 The Tatmadaw is not involved in politics but is working to end ongoing fights and armed conflicts. All need to do their parts in an effort to reach an eternal peace. 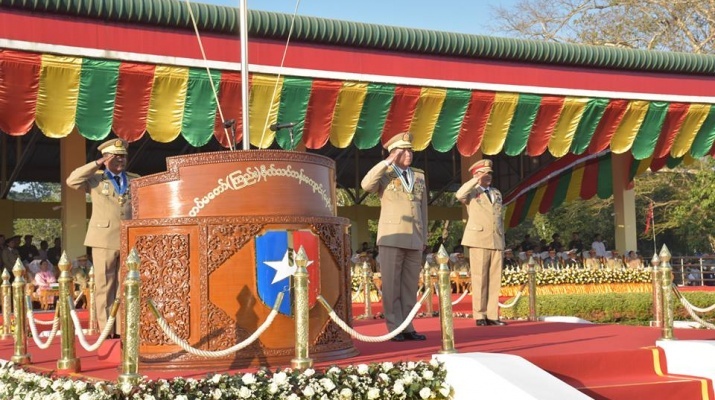 Afterwards, Commander-in-Chief of Defence Services Senior General Maha Thray Sithu Min Aung Hlaing took the salute of cadet company and left the military parade ground. After the ceremony, Commander-in-Chief of Defence Services Senior General Maha Thray Sithu Min Aung Hlaing met with the parents of cadet Khin La Pyae who won the best cadet award and cadet Zar Chi Tun who won the best shooting award, at the parlour of the Defence Services (Army) Offi cers Training School (Hmawby) and made words of honour. In his speech, the Senior General said securing the outstanding awards is based on their utmost efforts including relentless diligence and perseverance from the start to the end of the training course. Parents have given teaching, supervision and encouragement to them from the start of life to obtaining degree from university, and the Tatmadaw at present has turned out them as an officer of the Tatmadaw. 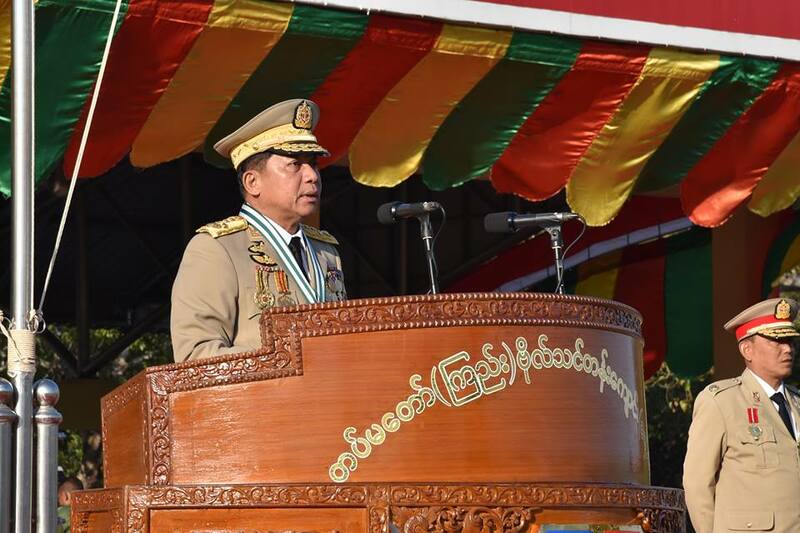 Hence, the Senior General stressed for them not to forget gratitude of the parents and the Tatmadaw. The Senior General urged them to make continuous efforts without degrading their efforts in discharging duty.